I am getting this question often from travelers-nearly everyone flies into Belize International Airport, and from there, you can rent a car. If you are going to the Cayes, you can take the water taxi or a puddle jumper flight (Tropic or Maya Air), if you are going to San Ignacio or Placencia (or anywhere else inland), you can rent a car or take a puddle jumper. Many people who come to Belize don’t just go to one location though-one of the greatest things about choosing Belize is that you can do an island adventure trip, jungle adventures, Mayan ruins, and beach relaxing all on one trip. 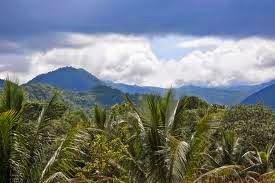 Belize is small, and relatively easy to get everywhere. The first time we came, we rented a car at the airport and drove around the whole country; it was a fantastic experience. Car rental at Belize Airport-looks just like at home! 1.) 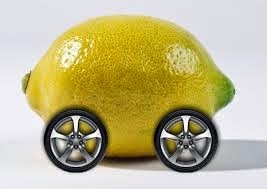 The car you rent here might be a piece of crap. 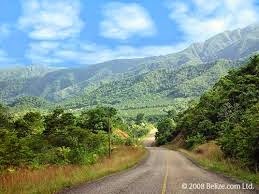 Belize roads are hard on cars, it is hard to get cars in here with the import taxes, and cars stick around a long time. The first car we rented was a jeep whose shocks were actually quite shocking; it felt like we were driving a waterbed with all the bouncing. 2.) 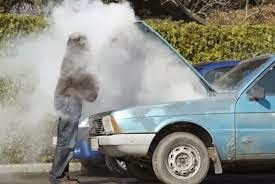 It wouldn’t hurt to have a set of jumper cables and to know how to change a tire. If you do not have/know these things, you will most likely be driving in walking distance to help, and a car with a good Samaritan probably is not far off here. When we have rented cars, there has also been a service available where you can call and get help from the rental place, so ask about this service when you rent. 3.) 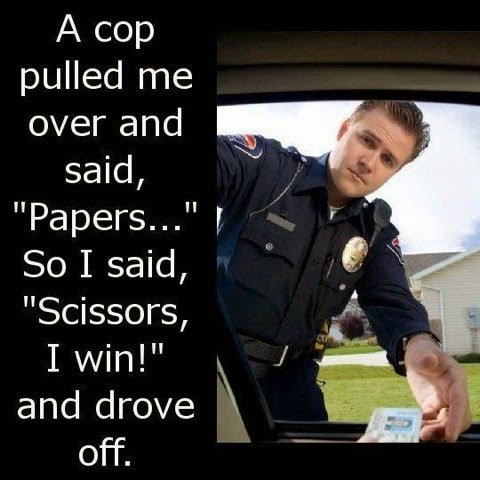 OK now you have your car and you are all set...one of the unique things you may encounter will be a police checkpoint. There are no standard traffic cops, although you will at times see a cop car. One of the ways that flow is controlled is through these random checkpoints. If you see a traffic stop building with no one in it, just go on through. There will be cones and cops clearly there if you need to stop. All they are looking for is to make sure your vehicle is insured and that you are here legally. You just need to show your passport. The insurance proof is actually on the windshield in Belize. It wouldn’t hurt to know where the car’s registration is, but just show your car rental paperwork if asked. This should be a quick and easy situation (keep your passport handy, don’t pack it in your luggage in the truck, which would be a huge pain for everyone). One thing to note, sometimes kids/people will put cones out that look like a traffic stop, when really they are asking for donations for their school or team. Other times you may think it is a traffic stop but it is kids selling fruit or something. Feel free to donate, or just kindly roll by and wave. 4.) One of the other controls on the roads are speed bumps. These are annoying, and you do have to be aware as you are driving and look out for these. Almost 100% of them are marked, but sometimes the signs are hard to see, or they will come up rather quickly. Since there are no traffic cops, this is a way to manage speed. Also you may see those same kids selling fruit at the speed bumps because you have to slow down...you can just roll by :). 5.) 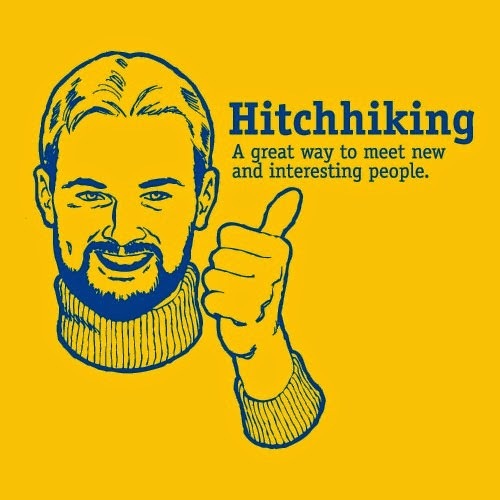 Hitchhikers-it is normal to hitchhike and to pick up hitchhikers here. This is not recommended of course, and certainly not for your first time here. You are not obligated to pick anyone up of course, but you will see a lot of people with their thumb out, there is kind of an understanding between drivers and hitchhikers here. Just roll on by and they won’t care. 6.) Buses-one thing that makes me uncomfortable while driving here is the buses--you will see Caribbean-colored old school buses that are a private bus line here, racing along the highways quite frequently. At times I feel like the bus is a freight train coming right at me. The drivers know the roads well so they speed along like crazy, and it always makes me slow down and be extra cautious when I see them coming at me. 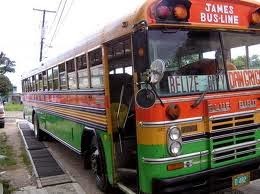 Just be aware of them them and make sure to be as far as you can safely be from the mid line in the road :) Real James Bus in Belize. 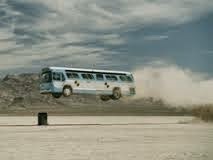 What James Bus looks like coming at you on the highway. 7.) "Highway"-ha! Although the roads are called highways, there are no "highways." The roads are actually pretty nice, but they are a 2 lane country road throughout. With this comes twists and turns at points, and passing is quite normal here, and often done at the speed bumps. 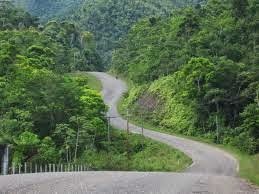 It is recommended that you pass with great caution when you are in the twisty parts of the road!! 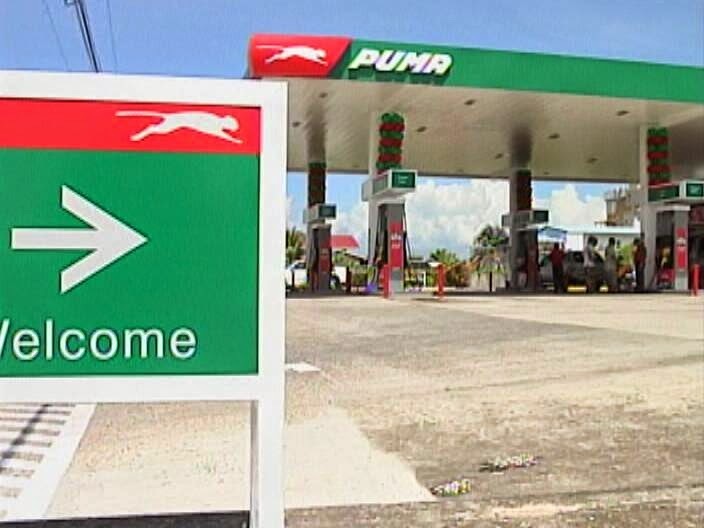 Real Belize Gas Station! Looks like home! 9.) Dogs--when you roll through one of the towns, there will be speed bumps to protect the people, and you will also see a lot of dogs here. 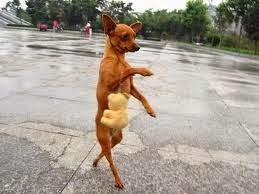 We have narrowly missed hitting dogs on a number of occasions when going through towns, because they tend to just run out into the street at times-just keep your eyeballs on them when you see them on the sides of the road. 10.) I think driving here is fun and totally worth it. You will drive through what looks like Hawaii, North Carolina, Hilton Head, countryside, farms, etc. You are statistically VERY unlikely to have any interactions with a criminal element while on the roads. The biggest safety issue here is car accidents, which are pretty common because people drive too fast. 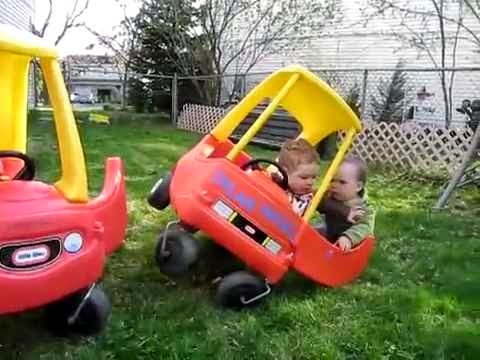 Being a defensive driver, and taking your time, is the best safety advice. Actual scenery you will see as you drive. I used to think that driving anywhere in Central America was like a ticking time bomb, that you were likely to be targeted and staked out by a carjacker--this is ridiculous. Only in southern Belize City is there a level of organized criminal element, and "poor" does not equal unsafe or criminal here. (In the US, there are "poor" cities and middle class cities/suburbs, and crime is more concentrated in the "poor" areas. The social dynamics are different here, most people do not have much money, and most people all hang out in the same places.) 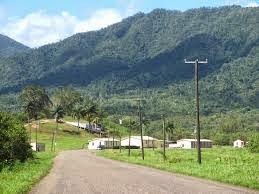 Belize has the lowest population density in Central America, and with that comes a LOT of gorgeous landscapes with a few little villages scattered amongst farms and mountains. Posted : Marty Casado - Fri, Oct 10, 2014 8:08 AM. This article has been viewed 13551 times.